The parish was in the Willingham sub-district of the Gainsborough Registration District. In 1891, a district re-organization placed the parish in the Marton sub-district of the Gainsborough Registration District. You can also perform a more selective search for churches in the Stow in Lindsey area or see them printed on a map. King Elfrith built a church here in honour of his wife, Saint Elhelreda. It was later enlarged, but was torched by the Danes in the year 870. The church remained a ruin until Bishop Eadnoth II founded the Abbey in 1040 and rebuilt the church 10 years later. The Church of St Mary originally served as the Cathedral Church of the ancient diocese of Lindsey, founded in the 7th century, and stands on the site of an older one. The Church here has been called the "Mother Church of Lincoln" (see History). The Abbey was eventually given to the BURGH family as their manor. There are no traces of the Abbey. Lady Godiva, wife of Leofric, the Earl of Mercia, founded a nunnery here, but it only lasted for a short period. Alas, the nunnery left no traces, either. St. Mary's Church was restored and repaired in 1855 and again in 1863-65. The church can seat up to 500. 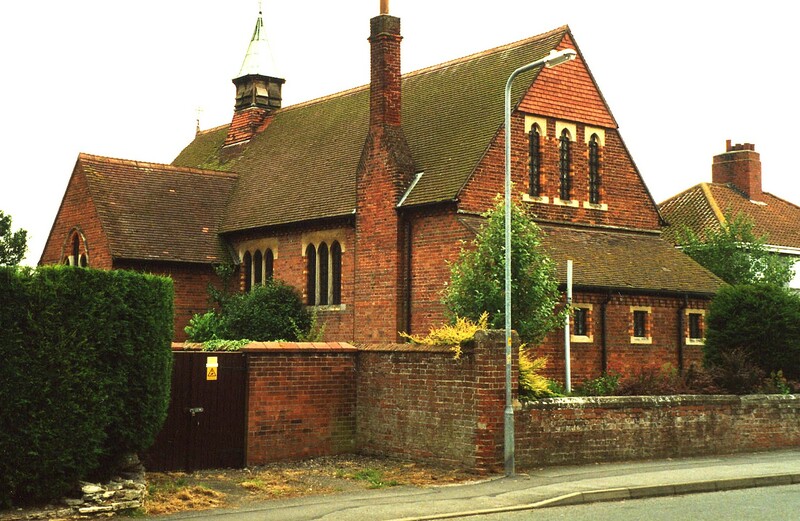 There is a photograph of St. Mary's church on the Wendy PARKINSON Church Photos web site. Richard CROFT has a photograph of St. Mary's Church on Geo-graph, taken in 2008. St. Hugh's mission chapel in the township of Sturton was attached to St. Mary's Church. St. Hugh's was built in 1879. St. Hugh's can seat up to 120. 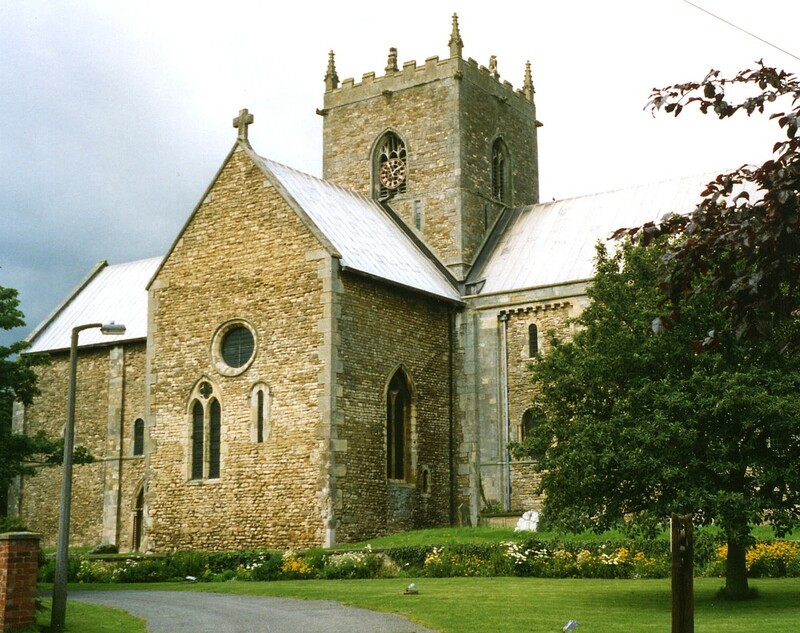 The Lincolnshire FHS has published several marriage and burial indexes for the Corringham Deanery to make your search easier. The church has also been listed, circa 1933, as being in the West Lawres Deanery. The Wesleyan Methodist chapel was built in 1824. For information and assistance in researching this chapel, see our non-conformist religions page. Sturton township had a Wesleyan Methodist chapel, a Primitive Methodist chapel and one for Plymouth Brothren. Stow is both a parish and a village 150 miles north of London and about 6 miles southeast of Gainsborough and 13 miles south of Scunthorpe. The parish itself is bordered on the north by Willingham parish and on the west by Marton parish. The parish consists of four townships: Stow, Normanby, Sturton and Bransby. Sturton is the largest of these townships and is a separate village about a mile south of Stow. The parish covers about 4,000 acres. Take the B1241 trunk road at Lea off of the A156 trunk road south out of Gainsborough and head east about two miles, then follow that road as it turns south for about two more miles. Ask for a calculation of the distance from Stow in Lindsey to another place. You can see the administrative areas in which Stow in Lindsey has been placed at times in the past. Select one to see a link to a map of that particular area. This place is considered to be the site of the Roman Sidnacaster, which was the seat of the first Saxon bishop of Lincolnshire. A few Roman coins have been found in the parish, as have extensive Roman foundations and lines of streets. In 1156, most of Stow was destroyed by fire. In 1216, Henry III visited Stow while his army was defeating the French army at Lincoln. Stow Fair was held here in early October. It was principally a cattle fair. Felons were said to have been executed here in ancient times, at a place called "Gallows Dale". For lesser offenses, Richard CROFT has a photograph of the Whipping Post on Geo-graph, taken in 2008. The SPENCER family of Bransby hamlet fought in the American Civil War. "Stow" gives its name to one of the archdeaconries of Lincolnshire. "Sturton" was originally called Streeton and was, in recent centuries, called Sturton-in-the-Street from its location on the Roman Road (now known as Tillbridge Lane). After the coming of the railways, it became Sturton by Stow. The parish was in the ancient Well Wapentake (Well Hundred) in the West Lindsey district and in the parts of Lindsey. In December, 1866, Sturton township was split off and became it own Sturton by Stow Civil Parish. In April, 1936, Coates Civil Parish was abolished and the area amalgamated with Stow Civil Parish. By the early 1800's the parish had an Almshouse for four poor people, but the donor was unknown. This Almshouse was abandoned and in disrepair by 1871. As a result of the 1834 Poor Law Amendment Act reforms, the parish became part of the Gainsborough Poor Law Union. Bastardy cases would be heard in the Lincoln petty session hearings. The Parish School was endowed with an annuity by the Countess Dowager of Warwick in 1626. A Board School was built in Sturton township in 1878 to hold up to 210 students. The children of the parish attended the school in the hamlet of Sturton.